Miscariage of justice? My story. We came across this web page with a video clip for recruiting psychologists to the Dept of Corrections. It involves only female psychologists and shows them working with all male clients. It shows two females running a group, presumably in prison, with all males. We don’t think this is ok. Forced to allow ex access despite DV charges. Matrimonial Property Act Review for changes. 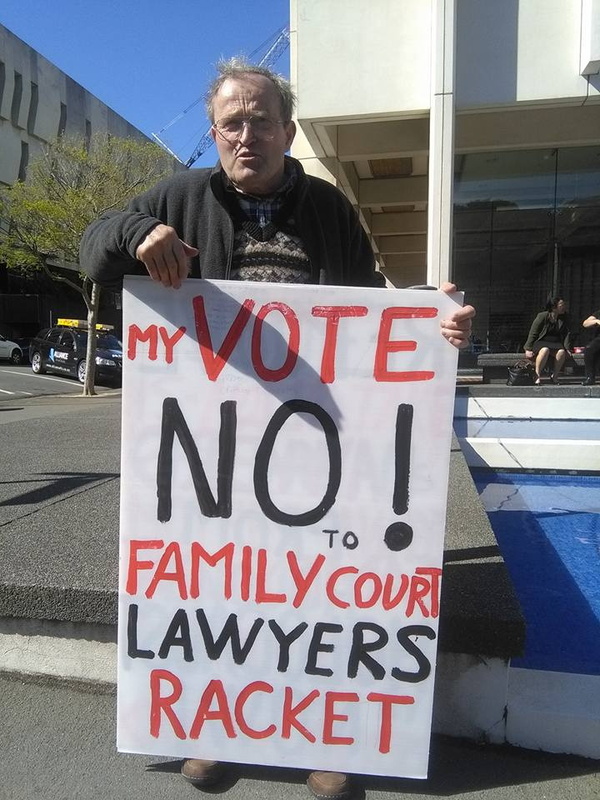 Our colleague Craig Jackson has joined calls from the feminist ‘Backbone Collective’ for a Royal Commission of Inquiry into the Family Court. However, Craig’s concerns differ considerably from the feminists who believe the Family Court should believe everything women claim and do exactly what women prefer without question. My name is Bill Clarke. I am writing a book about fatherhood and I want to interview dads. I am interested in hearing their STORIES – about their fathers, or their own story of “Dads in distress” or “Dads in success” in raising their children. Here are a few thoughts regarding men and father issues this election.